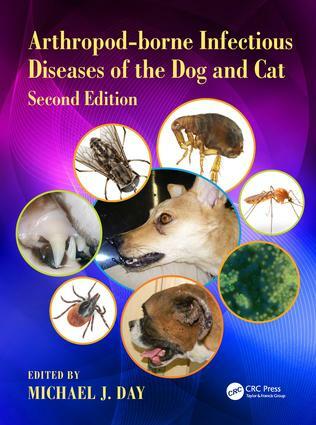 Introduction: Companion Animal Arthropod-Borne Diseases and �One Health'. Arthropod Vectors of Infectious Disease: Biology and Control. The Role of Wildlife and Wildlife Reservoirs in the Maintenance of Arthropod-Borne Infections. Interaction of the Host Immune System with Arthropods and Arthropod-Borne Infectious Agents. Laboratory Diagnosis of Arthropod-borne Infections. Filarial Infections. Babesiosis and Cytauxzoonosis. Haemoplasmosis. Hepatozoonosis. Leishmaniosis. Borreliosis. Bartonellosis. Ehrlichiosis and Anaplasmosis. Rickettsial Infections. Rare Arthropod-Borne Infections of Dogs and Cats.